When you talk about dreams becoming a reality - that’s what we’re all about at Dream To Reality Safaris. We take the amazing wonders of Africa – ancient traditions, roots, stunning beauty, vast lands, peaked mountains, natural wilderness, rare animals and extraordinary people to transform your holidays into a dream safari. As you get to know our team, you’ll understand why we take pride in our culture of hospitality where greetings are very important. As you travel on the roadways towards your safari, the norm is to see both boys and girls waving in a gesture of ‘welcome’. Get to hear our managing director, share his own growing up experiences near the main road to the world renowned Maasai Mara National Reserve. Each weekend, together with other boys, he would seek out trails in the wilderness or stop to tell a story or two to tourists who stopped on the roadsides on their way to or from the Mara. It is such life long familiarity of the Kenyan terrains and wilderness that makes our collective team, one of the most experienced and top in guide ranking. It is with equal pleasure that we have had the opportunity to not only guide a number of world renowned wildlife photographers but also families, groups or individuals. On occasion, we have also lectured in some American Universities, Social Clubs, Churches or Schools on topics related to the cultures and wildlife of Kenya. 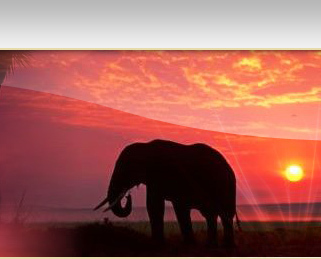 As you review this site, remember to let us know about your dream safari so we can prepare a customized package for you.